Thomas Sowell in his book Basic Economics: A Common Sense Guide to the Economy writes: "[There are] more people who do not understand economics than people who do." Nowhere does this become clearer than when people discuss economics among themselves (if at all). In our column yesterday, we explained how corporates are responsible for more than 80% of the bad loans of the public sector banks in India. In response to the column a friend said: "But what's the big deal? The government is picking up the tab. Why should I worry about it?" This, more than anything else, shows a lack of understanding of basic economics and a callous attitude. The moment the word government is used, it is assumed that this issue will not impact us in anyway. But that as we shall see is incorrect. As on March 31, 2017, the accumulated bad loans of public sector banks stood at Rs 6,41,057 crore. As we saw in yesterday's column more than 80% of these bad loans had accumulated due to defaults by corporates who had taken on loans given to the industry and the services sector, respectively. Bad loans are loans on which repayments have been due for 90 days or more. Should You Be Afraid of the Market Crash? These days are not good for investors. The market has entered 'meltdown mode'. But we think crashes are necessary, from time to time, for the healthy functioning of markets. So, today, I'm going to show you how to take advantage of the Market Crash using our small cap stocks recommendation service. Our small cap service has had a superb 10-year run. And to celebrate that we are giving you an opportunity to claim 1 year access to our Small Cap service... virtually FREE! But this unique opportunity ends on 31st March 2018. As of December 31, 2017, the total bad loans of public sector banks stood at stood at Rs 7,77,280 crore. This forms 86.4% of the total bad loans of scheduled commercial banks (i.e. public sector banks + private sector banks + foreign banks). Whenever a borrower defaults, the money given as a loan does not come back to the bank. Hence, in order to continue its operations (i.e. keep lending) the bank needs fresh money. Where does this money come from? Take a look at Table 1. Table 1 lists the total amount of money that the government has invested in public sector banks since 2007-2008. Source: Rajya Sabha USQ No. 396 for 6.2.2018, regarding "Capital infusion in PSBs"
Between April 1, 2007 and March 31, 2018, the government would have ended up investing Rs 2,29,329 crore. As the owner of these banks, the government had to invest this money to keep these banks going. This money could have easily gone towards other important areas like education, health, defence and agriculture, which would have benefitted the ordinary citizens of this country. This basically means that ordinary citizens have lost out in the process. Of course, it is difficult to measure how big this loss is per citizen. Nevertheless, there is a loss. In fact, Vice Chief of Army Lt Gen Sarath Chand recently told a Parliamentary panel that 68 per cent of the Army's equipment is in the 'vintage category'. "Funds allocated is insufficient and the Army is finding it difficult to even stock arms, ammunition, spares for a 10-day intensive war. All the three services are expected to be prepared for at least 10 days of intense battle," he said. So, clearly there are no free lunches. And India as a whole, is less safer because of the corporate defaults on public sector banking loans. Further, banks need to write off bad loans which cannot be collected. Over the years, public sector banks have written off thousands of crore of bad loans. Take a look at Table 2, which provides the details. Source: Unstarred Question number : 413, 6th February, 2018 and Starred Question No: *155, answered on 2nd January, 2018. Between April 1, 2012 and September 30, 2017, the public sector banks have written off loans worth Rs 3,03,551 crore. Hence, the profits of the banks have gone down to that extent. Banks, use a portion of their profit to give a dividend to their owner, i.e. the government. But with so much money being used to write off loans, the public sector banks have been declaring lower profits. In fact, during the last two years, the public sector banking system, as a whole, has incurred losses to the tune of Rs 29,380 crore. This also means that the government has got a lower dividend than it would have gotten otherwise. A lower dividend for the government obviously means that the government has had to look at raising revenue from other sources. One such other source is the increase in cess in the budget presented earlier this year. As the finance minister Arun Jaitley said: "The existing three per cent education cess will be replaced by a four per cent "Health and Education Cess" to be levied on the tax payable." Of course, higher taxes mean that people have lesser money to spend on other things. It could also lead to lower savings, if people chose to maintain their expenditure. The larger point here is that there are second order effects of bad loans of public sector banks, which are not so obvious in the first place, but they do come with a cost attached to them. As Jean Tirole writes in Economics for the Common Good: "In economic matters too, first impressions can mislead us. We look at the direct effect of an economic policy, which is easy to understand, and we stop there. Most of the time we are not aware of the indirect effects. We do not understand the problem in its entirety." These second order effects are not easily quantifiable. But that hardly means that there isn't a cost involved. The ordinary citizens of India are paying for the corporate loot of public sector banks. PS: Small cap guru Richa Agarwal's latest discovery is a stock she vigorously recommends - against all odds. Don't miss your chance to invest in it. Click here to get access to a free year of her small cap recommendation service. Equitymaster requests your view! Post a comment on "The Ordinary Citizens of India Are Paying for the Corporate Loot of Public Sector Banks". Click here! 12 Responses to "The Ordinary Citizens of India Are Paying for the Corporate Loot of Public Sector Banks"
I am a regular reader of your articles. I have also read your book India's Big Government. I love your articles which are fully supported by data and always provide a different insight to the issues. I also keep on sharing these articles with my friends, particulary the articles related to banking, as I myself work with a bank. A few days back, I sent one note to my friends on this corporate loot.... and mixed some other related articles plus some of my own views. This note has been published by empresa-journal of US. I dont have much idea about it, but just wanted to convey that the note is yours and all the credit goes to you. Ultimately where does this loot landup? Unless it is parked outside in safe havens ultimately it gets spent in the country and gets into circulation. The money in circulation results in direct and indirect taxes. Can you please explain this. Most of the corporate who are defaulting are very old and probably at one point of time they had solid credit history. Then what happened in economy that they are in so miserable condition. This one thing I do not understand. Please explain. As a subscriber of Equitymaster, I diligently read every articles of yours. Every time I read your articles, I feel like deprived, cheated, rather looted by 'crony capitalists' as you say. Being a common middle class person, my entire family consisting of wife children & aged parents are dependent on my single salary income. It really pinches when I can't save a penny at the end of the year but ‘donate’ lacs of rupees as tax in the name of development of the country and eventually that money is siphoned to a capitalist, a national fraud or even spent unaccountably on elections. I am sure there are thousands and lacs of other poor fellows who are getting ‘looted & robbed’ year after years. In the last budget also, nothing was done on this. Can’t we initiate a congregated petition to the President of India asking for some justice or fairness on this aspect? We can only look forward to the economists & benefactors like you who understand things neutrally & have honest intentions to help the society. Please do something on this Sir. in all your articles on public sector banks bad loans,you have not made any attempt to segregate/differentiate between bad loans in UPA regime and NDA regime. As i understand, the position of bad loans when NDA came into power was already extreme. The impression of India in the eyes of the rest of the world at that time was very NEGATIVE. The NDA could have exposed all this when it came to power.. which would have caused a run of foreign investors from India.By first building a reasonable strong impression of India in the eyes of the world in the first two years of its rule, the NDA has then gone into cleaning the bad loans of the banks. How many fresh bad loans have originated after the NDA came to power? would be keen to know from you. Please tell your friend that HE is the government. Corporate loot is in connivance with inefficient & or corrupt Bank officials & Politicians of all parties who gang up in support of the Corporate as individually & party gets lot of benefits from the Corporate. So the present malice is not because of only Corporate but also all other Stake holders. 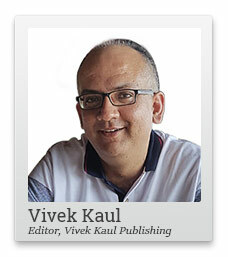 As usual incisive post by Vivek Kaul . As long as govt controlled psu banks are there these scandals will keep recurring.